Some wonderful pictures of the Monadh Liath - showing the contrasting wild beauty of the landscape and the terrible scar of the Hydro track. The Stronelairg wind farm will mean another twenty miles or so of those tracks criss-crossing the landscape, nailed in place by colossal whirling turbines. Thanks Alan. 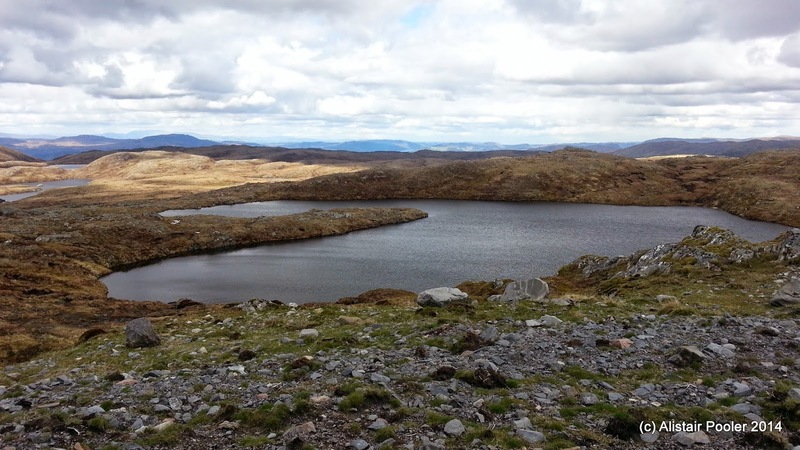 It will be terribly sad once the construction of the Stronelairg wind farm starts :( I'm glad I walked that way on this year's TGOC, but I suspect I may end up staying away on future crossings!